Call for participation in the Colcha Project Exhibition! I would like to invite you to create an art experience using the instructions of the Colcha Project and exhibit the project you create at The Colcha Project Exhibition in March 2012 at The Walsh Gallery in NJ. A Colcha is a quilt created by several participants who work together at regular meetings while collectively design the theme of the meetings and the quilt. Discussions, food and shared inspirations become part of the creation process and part of the project. Follow the directions below to create a colcha/quilt of your own and submit it for exhibition this March! Deadline: The quilt must be completed by February 15th. You must contact me by January 15th to let me know you would like to be in The Colcha Project Exhibition (submission form below.) Crochet projects are encouraged, but projects can be created in any medium and do not need to be in crochet. *Meeting people in a new city. *Creative meeting of the minds. *To cover up secret political think tank meetings. *Prioritizing time with a group of friends. Once you decide what sort of colcha to make with your selected participants. Get to it! Join The Colcha Project! Follow the directions below to create a colcha and then submit for exhibition!! 3. Design and plan the colcha, select the theme of the colcha and gather the materials participants will use to create it. 4. 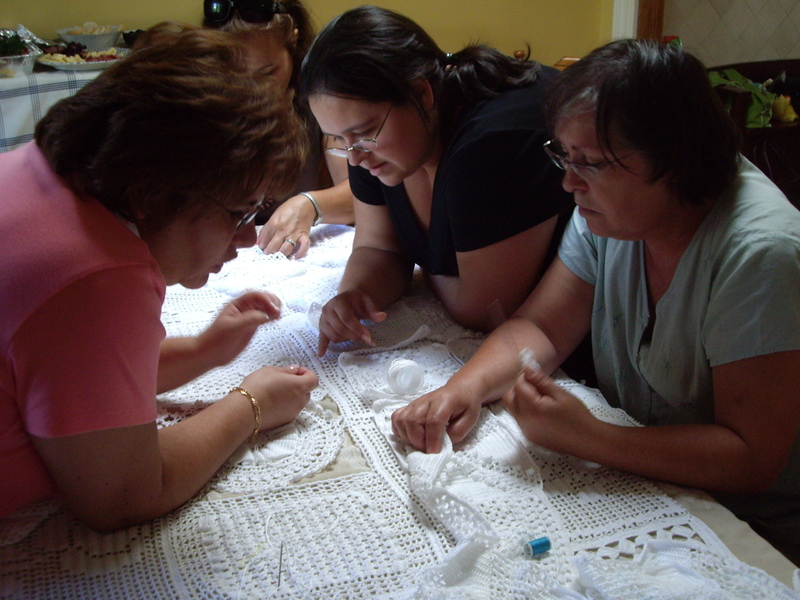 Complete the colcha collectively, meeting regularly to quilt pieces together and to work collaboratively. 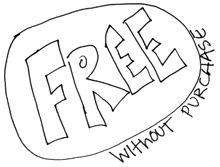 -Have the participants bring inspirational objects: books, guides, art, good luck charms, extra tools, music.-Encourage participants to bring and share food at the meetings. -Keep track of inspirational or hilarious quotes at the meetings. -Keep a journal of the process. Email the required information below to thecolchaproject.org (with your images) or submit the info with our ONLINE SUBMISSION. Please submit this information with 15-20 images by email to thecolchaproject@gmail.com. During preparation for exhibition, we will contact you about exhibition details, shipment of the colcha as well as to submit several images for the exhibition. col·cha (koal-sha) noun. Portuguese word meaning quilt. An outer covering, usually decorative, for a bed. 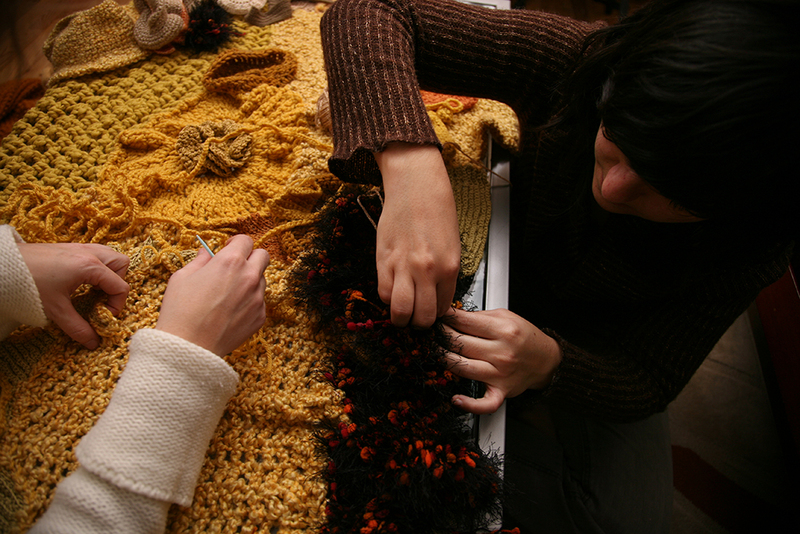 Colcha is an ongoing project involving collaboration and crochet. This site contains a guide with suggestions and instructions for making your own colcha and information about two colchas that have already been made. I encourage you to also discover the secrets, surprises and treasures that come from this collaborative process.